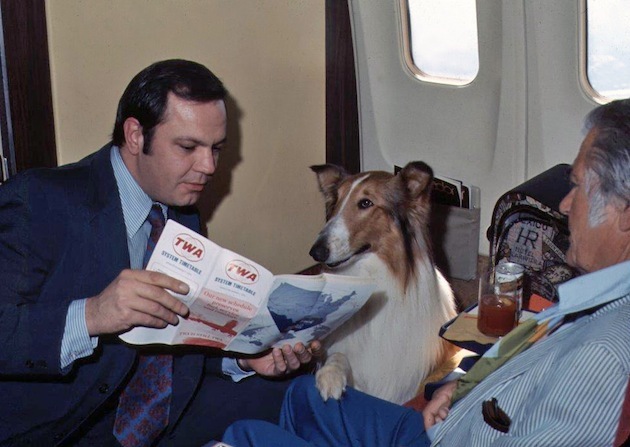 1973 - En route LAX-STL, DCS Spaeth attempts to steal return business from passenger Lassie and her trainer, Ruddell "Rudd" Weatherwax. 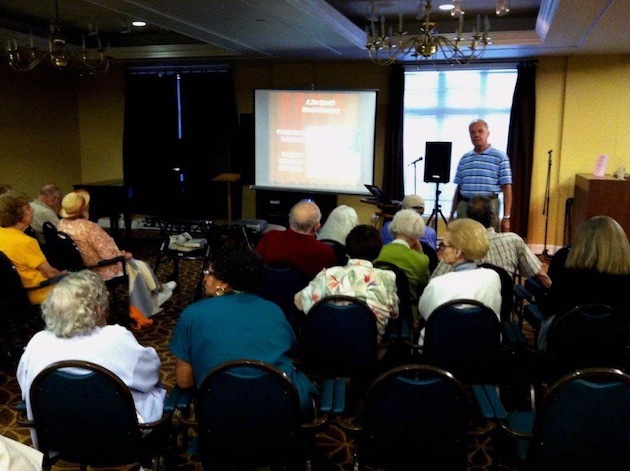 the Evergreen Retirement Community in Cincinnati. 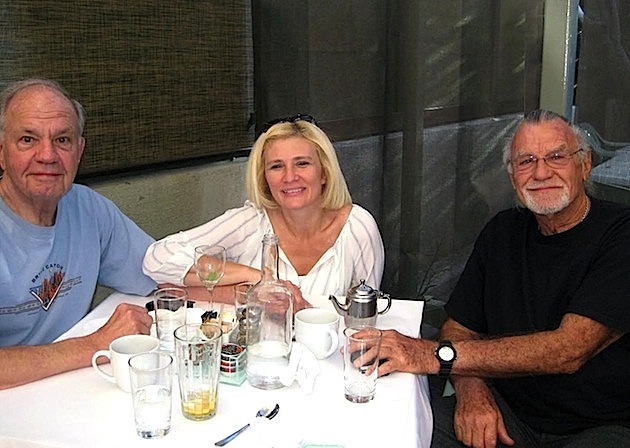 November 2014 - Jim and his wife Stacey joined Ron Green for lunch at Venice, California. November 2016 - Jim and Stacey visited the Sheraton Skyline Hotel adjacent to London Airport, the DCS layover hotel. 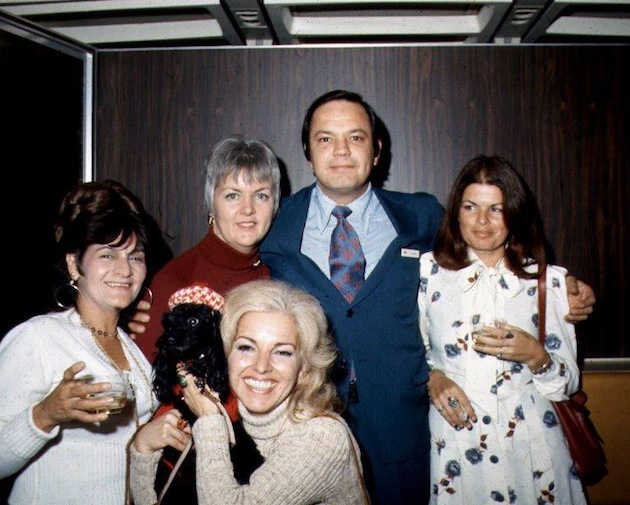 They posed at the poolside bar. A view of the pool and bar. Jim reports the in-water stools have been removed; pity!